The most complete MotoGP™ game ever! 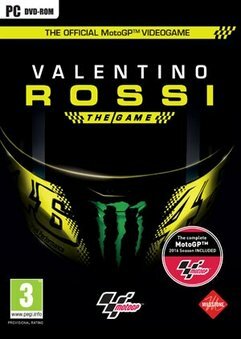 Valentino Rossi The Game allows you not only to compete in the 2016 season but also with past MotoGP™ champions, giving you the chance to relive the most important stages of the career of the 9 times world champion. Join Valentino Rossi’s VR|46 Riders Academy, start your debut season in Moto3™ and be ready to compete in all motorsports categories Valentino will invite you to compete in. The Flat Track races at the MotoRanch, the drift competitions at Misano and rally challenges atMonza will be the arenas in which you can hone your skills to become the new MotoGP™ champion.